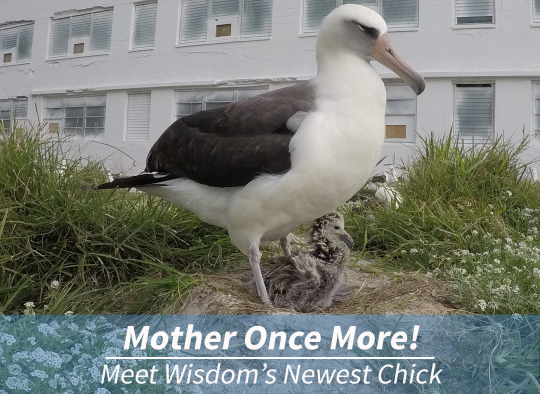 Wisdom, The World’s Oldest Known Wild Bird, Successfully Hatches Another Chick! – Sig Nordal, Jr.
Photo: Wisdom has a remarkable history of successfully raising chicks. Wisdom newest chick finds comfort in her mother’s embrace. Photo credit: Bob Peyton/USFWS. Midway Atoll each year to rest, mate, lay eggs, and raise their chicks.